Small candy and toys with small pieces are choking hazards for kids. To minimize choking risk, give out age-appropriate candy and toys and keep an eye on little ones at all times. Always keep eggs refrigerated before boiling them for Easter decorating or painting. Don’t eat or cook eggs that are cracked or have been unrefrigerated for more than two hours. If decorated eggs are left at room temperature for hours or days, do not eat them. Always wash your hands when handling eggs, especially between cooking, cooling and dyeing. Plan a safe Easter egg hunt. Do not hide eggs near electrical outlets or light sockets, around glass, in plants that have thorns or in holes in the ground. Additionally, be mindful of children’s age differences when planning egg hunts. 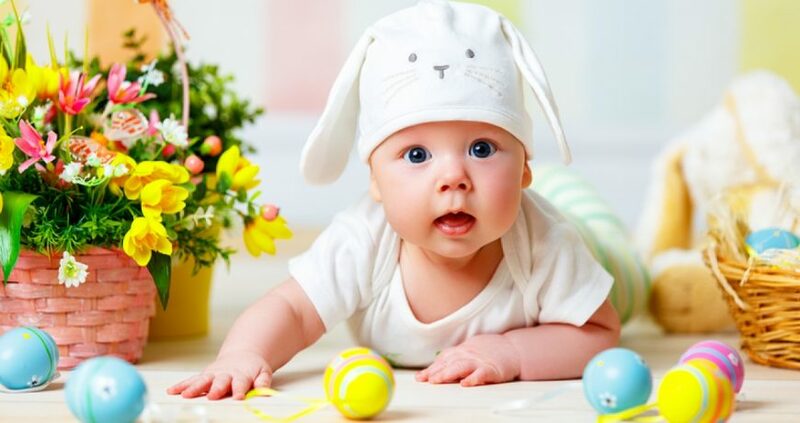 If there is a risk of older, bigger children accidentally hurting smaller, younger children during the hunt, consider having separate egg hunts for different age groups. Avoid purchasing animals as Easter gifts. Chicks and bunnies may be cute and cuddly, but they can carry bacteria that can make your child sick. Children do not have fully developed immune systems, which means they face a higher risk of illness than adults. If your children touch any type of pet, teach them to wash their hands before touching food or their eyes or mouth. Protect family members and friends who have food allergies. Candy that is free of dairy, peanuts and gluten is readily available at most grocery stores. Additionally, snacks like popcorn, gummy bears, and cheese crackers are great alternatives to products that contain chocolate or nuts. For more Easter safety tips, speak with your health care provider.